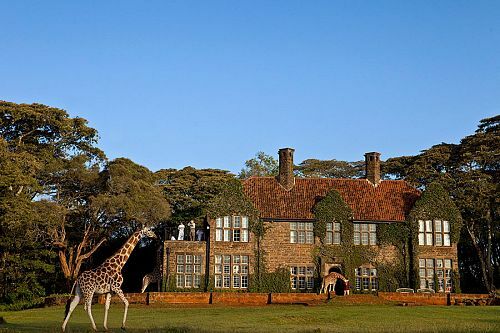 We designed this Romantic Kenya: Giraffe Manor and Masai Mara Safari for an anniversary couple from Houston. They had previously done a safari in the Okavango Delta, and now wanted to explore a completely different side of Africa. Seeing the Great Migration in the Masai Mara was one of their bucket list items. When we told them that Giraffe Manor, which they had seen all over Instagram, was also in Kenya, they knew they had to visit! Giraffe Manor, just outside of Nairobi, was their first stop. They loved feeding the giraffes and seeing them poke their long necks into the dining room for breakfast! From there, they flew to ol Donyo Lodge. This unique lodge is set amongst the Chyulu Hills, in between Kenya’s more popular destinations, and therefore a little-explored hidden gem. Their game viewing was spectacular, and they had fantastic cultural interactions with the local Masai guides. Next on their Romantic Kenya: Giraffe Manor and Masai Mara Safari, they flew north to the exclusive Solio Game Conservancy. Not only was the lodge beautiful and welcoming, but the location is one of the few places in Africa where you can see rare black and white rhinos. Here, they decided to do something a little different and enjoy a safari on horseback—one of the many highlights of their spectacular journey. And of course, they had to visit the Masai Mara to witness the Great Migration. Each year, thousands upon thousands of wildebeest migrate through the area, creating a moving feast that attracts predators of all sorts. They stayed at the exclusive Sala’s Camp, where they could return between game drives and enjoy serene views over the green plains. 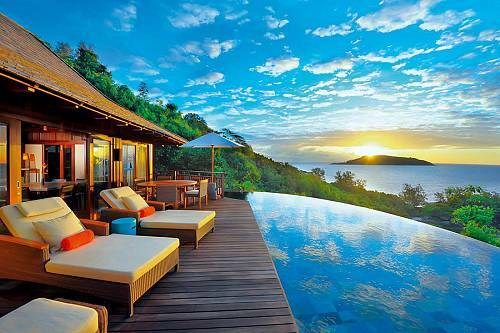 They loved capping off each evening watching the gorgeous sunset with sundowner cocktails. After their whirlwind adventure, it was time to say goodbye to Kenya. They flew back to Nairobi and spent the day at the beautiful Ole Sereni hotel, then enjoyed a transfer to the airport to begin the journey home. Welcome to Kenya! On arrival at the airport, meet your driver for a transfer to Giraffe Manor. This gorgeous manor boasts classic European elegance, with ivy-covered walls, verdant gardens, and sun-drenched terraces. However, the most fascinating thing about Giraffe Manor is its herd of resident Rothschild giraffe who may visit in the morning and evening, sometimes poking their long necks into the windows in the hope of a treat, before retreating to their forest sanctuary. 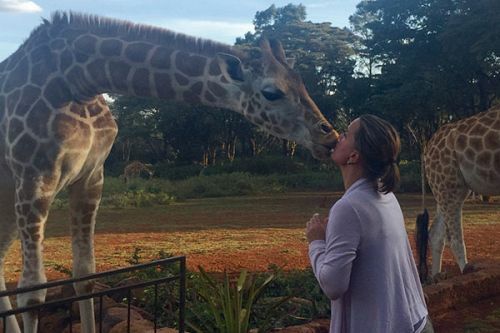 Spend the night at this wonderfully unique hotel, where you’ll have an opportunity to feed and kiss the friendly giraffes! Today, your safari adventure begins! 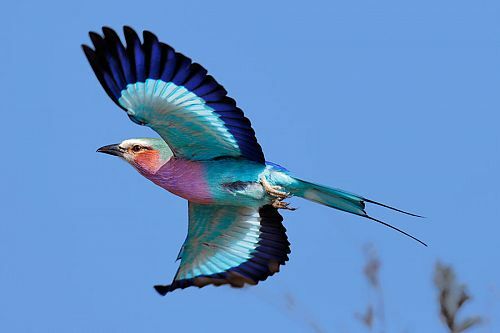 Fly to the Amboseli region of southeastern Kenya. 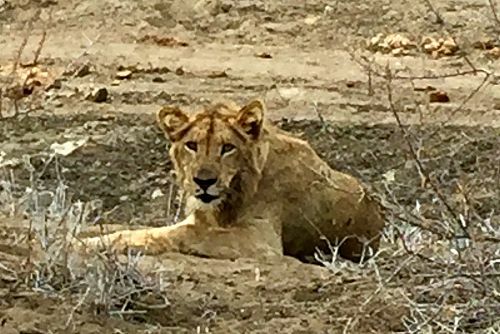 You’ll have your first opportunity to see the Big 5 in the wild on a short game drive to ol Donyo Lodge, located in the Chyulu Hills. This luxurious lodge sits in thick woodland on a gently sloping hillside with views out over the plains to a distant Mt Kilimanjaro. Designed to merge your outdoor and indoor living, a series of unique suites and villas (no two are the same) appears to emerge from the arid landscape on either side of a palatial lounge and dining area. 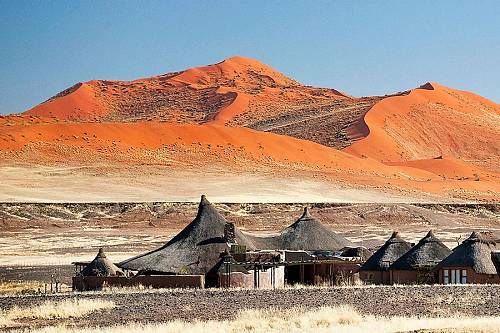 Arrive in time for a scrumptious lunch followed by an evening game drive, horseback ride, or mountain biking. 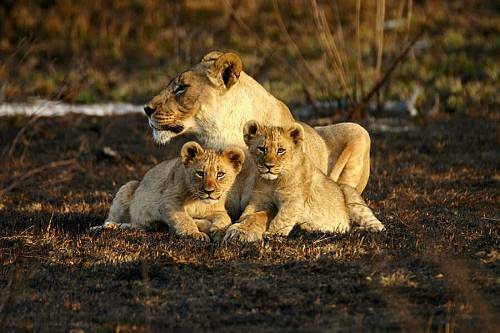 Spend the next 2 days on safari in the region that Ernest Hemingway described as the “green hills of Africa.” Rise early to see wildlife like lions, elephants, zebras, giraffes, cheetahs, and much more on morning game drives, when wildlife is at its most active. As the animals retreat in the heat of the afternoon, return to the lodge and enjoy some free time to relax and perhaps cool off with a dip in your private plunge pool. Indulge in a spa treatment or learn about Maasai culture from one of your local guides. Enjoy delicious gourmet meals and premium drinks at the lodge, all included in your room rate. For a special experience one evening, you can choose to sleep on your roof terrace under a brilliant canopy of stars. Your journey continues as you fly to rhino country! These incredibly endangered species (both white and black rhino) can be seen at the exclusive Solio Game Conservancy, where you will stay for the next 2 nights. Make your way to Solio Lodge—a beautiful haven nestled in the valley between the dramatic slopes of Mt Kenya and the rolling peaks of the Aberdare Mountains, offering stunning views of Mt Kenya. Enjoy signature experiences such as horseback riding, walking, game drives, and remote fishing trips. 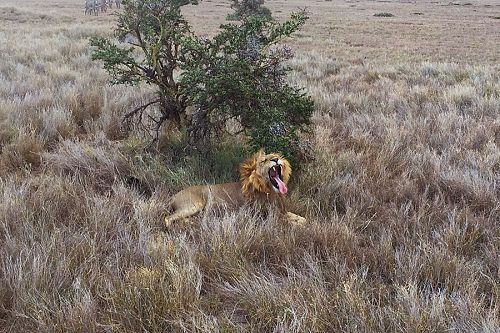 You can’t leave Kenya without visiting the Masai Mara! Fly to the Mara today and enjoy a game drive to the intimate Sala’s Camp. Just 7 luxury tents, each with a private pool, open out to jaw-dropping vistas of Kenya’s vast plains. During your stay, you’ll witness one of nature’s greatest spectacles—the Great Migration—in this world-famous safari destination (July and August are the best months to see river crossings). Spend 2 days exploring this majestic park with its large diversity of beautiful scenery, including meandering rivers, towering escarpments, and rolling grasslands that provide the perfect habitat for the abundance of game, including the Big 5: lion, leopard, buffalo, elephant, and black rhino. Game viewing is spectacular year-round. In addition to the Great Migration, you may see a pride of lions stalking their prey, observe a herd of elephants and their fascinating social structure, or see pods of hippos wallowing in the rivers. In the evenings, cap off your game drives with a cocktail in a scenic location, soaking up the breathtaking Mara sunsets. Embark on your final game drive this morning as you head to the airstrip for your flight back to Nairobi. Enjoy the use of a day room at the luxurious Ole Sereni hotel, where you can watch giraffes, zebras, antelopes, and buffalos lounging near the waterhole. Then, you will be transferred to the international airport to begin your journey home.